A very occult looking item - made to realistically resemble a human skull, this cold-cast resin statue is adorned with strange alchemical markings and symbols. 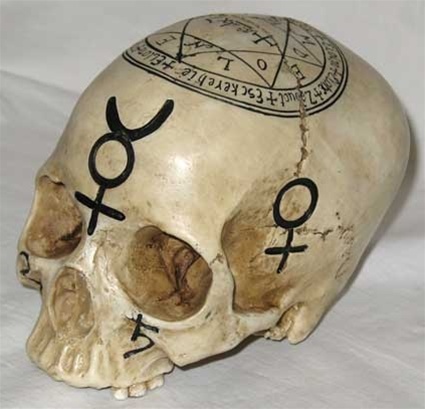 A large seal of protection is set into the crown of this mystic skull. Measures approx 14cm tall and 17 cm in length.